St. Pius X enjoys a full and well-rounded Music Ministry. There are four vocal choirs; the Adult Choir, Children's Choir, Youth Choir, Women's Schola and a Handbell Choir. NEW! Click on a song title below to listen to recordings (mp3 format) of the Adult Choir singing in Rome. 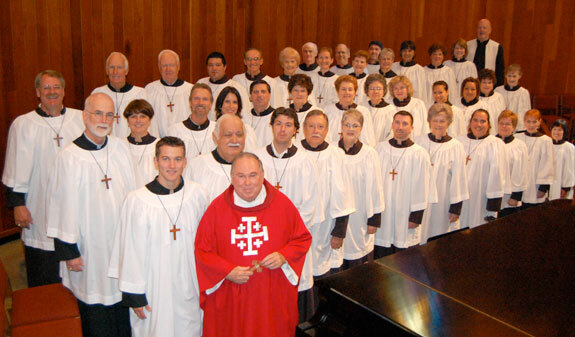 The Adult Choir sings at the 10:00am Mass on Sundays and for special occasions throughout the year (i.e. : Midnight Mass at Christmas, Easter Vigil, Prayer Service on All Souls, and with the Southside Seven for Ecumenical Services. 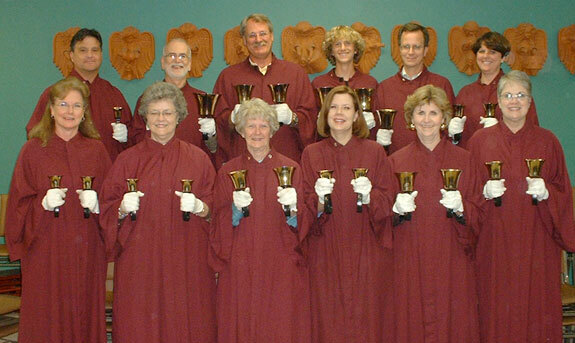 We are very proud of our Handbell Choir which was created in 1999. This choir enhances the liturgy at various time during the year as well as the Christmas Eve Service. 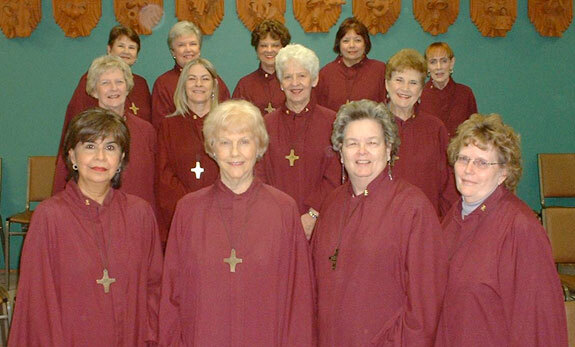 The Women’s Schola is an ensemble made up of 20 women who are committed to a unique and special ministry to the grieving. The Schola is on call for all funerals conducted at St. Pius X Catholic Church. In addition to signing for funerals, the Schola also performs for special occasions throughout the year (i.e. Midnight Mass at Christmas, Good Friday and the Prayer Service for All Souls Day). There are two choirs for the youth of St. Pius X. The Children’s Choir is open to children in first, second and third grades from St. Pius X Elementary or any other school in the area. The Youth Choir is for 4th through 12th grade. 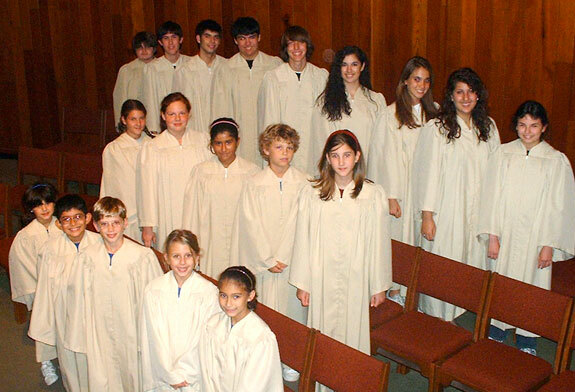 The Youth choirs sing on the first and second Sundays of every month October through May. In addition to traditional choirs, every Sunday night at the 5:30 p.m. Life Teen Mass, the Youth Mass Band treats the congregation to contemporary worship and praise music. Click here to find out more about the SPX Youth Mass Band.